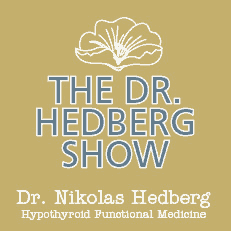 Hashimoto's Thyroiditis and Selenium Supplementation - Dr. Nikolas Hedberg, D.C. This is an interesting adaptation your body has developed because your thyroid has the potential to be damaged when you are deficient in selenium but you have normal iodine levels. Iodine ensures normal thyroid hormone production but the protective effects of selenium may not be there to clean up free radicals produced during hormone synthesis. It has been found that supplementing with selenium if you are deficient in iodine can actually suppress thyroid function. This is why it may be important to have your iodine status checked before supplementing with selenium so we can figure out the best plan forward. The catch is that supplementing with iodine can increase damage to the thyroid gland in patients with Hashimoto’s disease. This is why you should work with an experienced healthcare practitioner to help figure out the right balance for you. Selenium acts as a “thyroid antioxidant” and is vital for the production of thyroid hormone and it is involved in the conversion of T4 (least active thyroid hormone) to T3 (most active form). 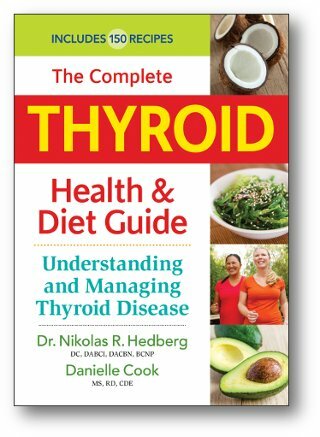 One clear pattern on you thyroid labs that can indicate selenium deficiency is a high or high/normal Free T4 but low or low/normal Free T3 with a normal TSH. This indicates that your T4 isn’t converting well to T3 possibly due to a selenium deficiency. Selenium protects the thyroid gland from the damaging effects of thyroid peroxidase (TPO-Ab) and anti-thyroglobulin (Tg-Ab) antibodies. Selenium also can protect the thyroid by binding to mercury and making it completely inert. Mercury is a major thyroid disrupting chemical but not as significant when selenium is present. Selenium and iodine are intricately intertwined in the thyroid gland. They are both necessary for thyroid hormone production, but when iodine-deficient subjects were given selenium alone, it made their hypothyroidism much worse. Since iodine deficiency is very rare in industrialized nations, this is usually not something to be concerned about. 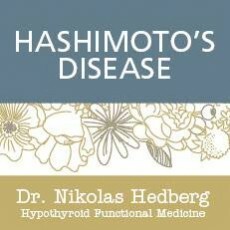 Can selenium help Hashimoto’s disease? Three separate studies have shown that selenium supplementation suppress TPO-Ab and Tg-Ab levels. A recent study by Wichman et al. Showed that selenium supplementation reduces TPO-Ab levels at 3, 6, and 12 months and Tg-Ab levels at 12 months. This was only in those treated with levothyroxine (T4), not in those who did not take thyroid hormone. This study also found that antibody levels only decreased in those taking selenomethionine but not in those taking sodium selenite. This is because selenomethionine is absorbed much better than sodium selenite. Selenium has been found to be highly effective in patients with Hashimoto’s thyroid disease. Multiple studies have shown that selenium supplementation significantly reduced thyroid antibodies which are an indicator of thyroid autoimmunity. In fact, the higher the antibody levels were at the beginning of the studies, the greater the positive effects from selenium. It was also found that selenium improved the overall sense of well-being in these individuals. One study out of Greece found that supplementing with selenium for 12 months lowered TPO-Ab levels but once the patients stoppped taking the selenium, their antibody levels rose 4.8% after 6 months. Another study out of Italy found the same positive TPO-Ab lowering effects after patients supplemented with selenium for 12 months. Another recent study out of China found that areas of low selenium intake has much higher rates of thyroid autoimmunity compared to areas of China with higher intake of selenium suggesting a protective effect from autoimmune thyroiditis. Many women develop Hashimoto’s thyroiditis after they give birth. The effects of selenium supplementation were studied in pregnant women and after they gave birth. The results showed that the women who supplemented with selenium had much lower antibody levels and their thyroid glands were also protected as they did not change in size compared to the women who didn’t supplement. Selenium has also been shown to inhibit expression of the Esptein-Barr Virus which is a virus linked to Hashimoto’s and other autoimmune diseases. Selenium is also effective against other herpes viruses such as Herpes 6 which is also connected to Hashimoto’s disease. What is considered optimal selenium intake from food? The current recommended dietary intake of selenium from food is 55-75mcg/day. Be careful with whole-wheat bread and rye if you have Hashimoto’s disease because the gluten found in these grains can potentially make your Hashimoto’s much worse. The content of selenium in foods is dependent on the soil concentration of selenium which is very low in some areas. Which form of selenium is best and how much is a safe dose? Sodium selenate and selenite are the most popular forms of selenium but only about 50% is absorbed. In addition, these forms of selenium increase the risk of selenium toxicity. Selenomethionine is the preferred form of selenium supplementation as it is the form found naturally in food and about 90% of it is absorbed. 200 micrograms each day is a safe dose as long as it is in the form of selenomethionine. Consumption of approximately 330mcg/day of selenium could potentially be toxic but a safe range is 50-400mcg/day. 850-900mcg of selenium a day has been documented to be considered a minimum of developing selenium toxicity but I definitely would never recommend doses this high. 200mcg a day as noted above is a reasonably safe dose and it is also the dose used in the above studies on Hashmoto’s disease. You can see that some of the symptoms from toxicity are actually the symptoms of hypothyroidism. Why don’t you recommend Brazil nuts? Brazil nuts can contain anywhere from .2mcg to 253mcg of selenium depending on where they come from. Just imagine if you were eating 3 Brazil nuts a day from a source that was on the higher end of this range. You could easily begin to develop selenium toxicity and we would also have to factor in all the selenium you are getting from the rest of the food you are eating and any supplements such as a multivitamin. 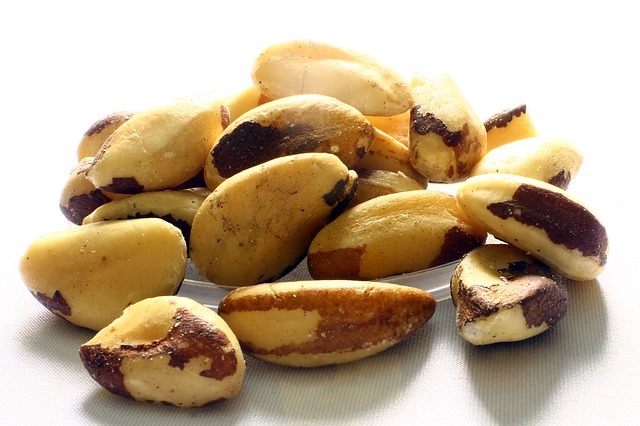 If you’re going to consume Brazil nuts, don’t take any selenium supplements and it would be wise to eat them in extreme moderation such as once a week or even once a month. How do I put all this information together for practical use? If you have Hashimoto’s disease then it is reasonable to supplement with selenomethionine under doctor supervision if your whole blood selenium test indicates you are deficient. But you must take into account any selenium content in other supplements you are taking as well as selenium from food to be sure you don’t go above the safe range. Additionally, you must be certain that your iodine intake is adequate from food and a small amount from supplements so as not to further suppress your thyroid function. Since you shouldn’t supplement with large doses of iodine if you have Hashimoto’s thyroiditis, then the reasonable approach is to take a multivitamin which has about 150mcg of iodine to begin restoring any iodine deficiencies while not exacerbating your Hashimoto’s disease. Sometimes, I’ll just have patients take the multivitamin that contains some iodine and some selenomethionine so we have both bases covered. This is definitely not something you would want to do on your own without doctor supervision so be sure to work with an experienced healthcare practitioner who can perform the proper testing needed to figure out your unique health balance. 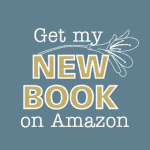 "The most cost effective and the most result effective path you can take to good health."